These general conditions of sale regulate only the sales of products offered on our Feminil page. Any person who is going to place their order through the web can access these general conditions of sale. All contracts carried out from the Feminil will be formalized in the language in which the purchase was made. Registered in the Mercantile Registry of Madrid Volume 20.685, Folio 162, Registration Form 366.355. 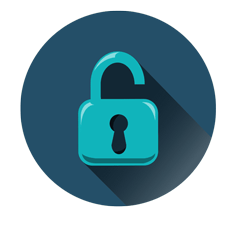 From Feminil we guarantee maximum security to make your purchases. 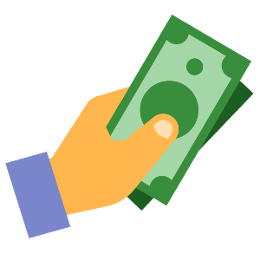 The payment of orders placed in Feminil is made in Dolares. At Feminil we are fully aware that, when making a purchase through the web, you trust our discretion. That is why we take all possible precautions to guarantee your privacy. All our orders are sent in a totally discreet way so that it is impossible to identify the contents of our packages. Nor is there any distinctive reference to the product outside of them that evidences what is inside. In Feminil we think that every quality product must always present a series of guarantees that provide security to the customers and that serve as a response in the event of any type of doubt or disagreement with the product, such as the form of payment, etc. and that they are met at all times. That is why we rigorously comply with this maxim, offering all kinds of guarantees, as well as an abundant and detailed information on all the points that we consider fundamental, so that in this way the possible doubts to clear, are the least possible. At Feminil we trust in the effectiveness of our products, so we offer the possibility of testing it for 2 months, committing to return the entire disbursement * if you are unsatisfied with the results obtained with a purchase of more than two months of treatment. * The amount paid for the product will be refunded (except for shipping costs that will be borne by the customer). Since June 2014, the European Union has established new parameters of purchase guarantee for which we are governed. According to these conditions of return you have the right to retract from your purchase of any Feminil product within 14 days . This period will end 14 days after the date of receipt of the products. However, if the period ends on a non-working day, the period is extended until the next business day. We will confirm the receipt of your request and we will refund the amount paid by paypal, check or bank transfer within a period of 14 calendar days from the receipt of your request for withdrawal provided that the return of the product has been carried out. The exercise of the right of withdrawal will imply the return of the price of the returned product and the original shipping costs. You will have to assume the direct cost of returning the products. Feminil will not be responsible for the non-delivery of the order due to force majeure, fortuitous events, strikes either from the entity itself, sectorial or general or those promoted by postal and transport workers and / or communications. Feminil will not respond for the aforementioned facts of the indirect damages, benefit or opportunity. Feminil reminds you that under the provisions of the Civil Code, non-emancipated minors do not have the capacity to contract. Orders destined to minors must be made by those who exercise parental authority or guardianship. In case of accidental collection of data of a minor, parents or guardians may object to its conservation and treatment. Hypertext links can forward you to other websites. Feminil declines all responsibility in the event that the contents thereof contravene the legal provisions and regulations in force. Feminil reserves the right to adapt or modify at any time these general conditions of sale. The new general conditions of sale will be accessible by the client through the web and will be applied only in sales after the modification. 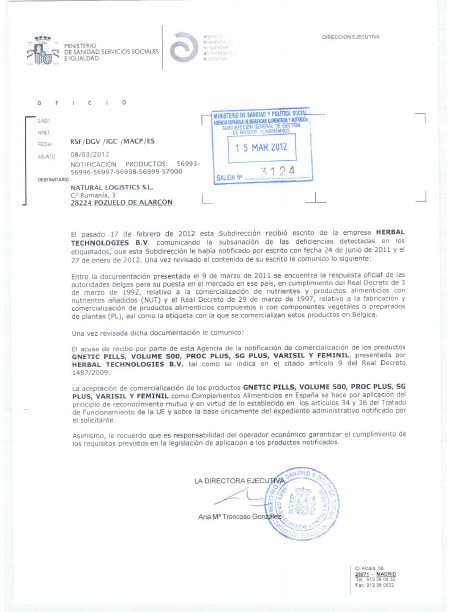 The provision of this Feminil service and these conditions of use are governed by Spanish law. 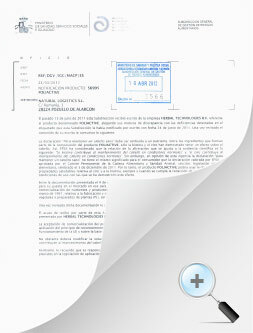 Any litigious issue that concerns the services provided through this Feminil, will be resolved through the consumer arbitration tribunals, mediators or similar to those who are adhered NATURAL LOGISTICS at the time of the dispute, as well as the courts and corresponding courts in accordance with Spanish legislation.